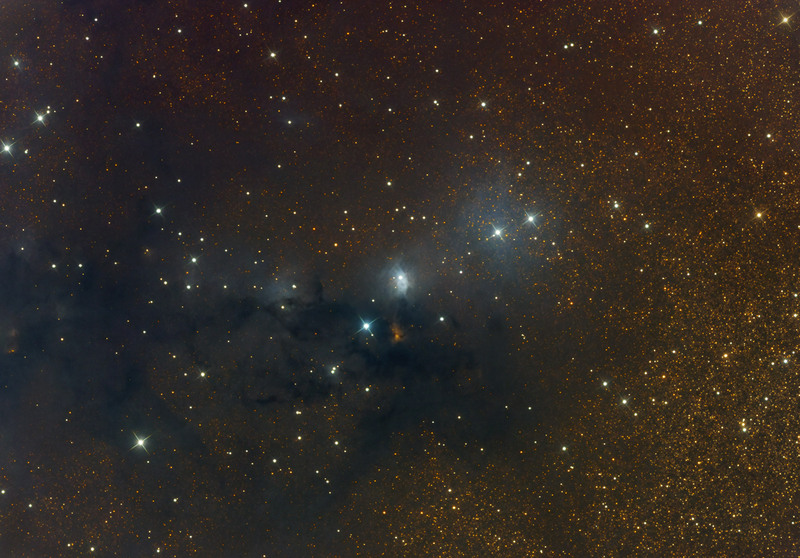 VdB 123 is a reflection nebula in the constellation Serpens (Serpens Cauda). It is illuminated by the 9.75 mag. star HD 170634, from spectral class B7V. The nebula is embedded in a dark molecular cloud known as Serpens Cloud. This super dust cloud overlies a rich star field of the Milky Way and has an appearence like a fine blue mist with defined borders and thickenings in the middle. The lasts appear as dark nebulae and are catalogued in the Dobashi catalogue (Dobashi et al. 2005). Many other objects also can be seen on this image (see mouseover). Among them are some Herbig - Haro objects.